Wisconsin is a beautiful state offering many wonderful year round vacationing opportunities for Illinois residents and families. Wisconsin towns such as Kenosha, Racine, Lake Geneva, Alpine Valley, Wisconsin Dells, Milwaukee and Madison are all popular destinations for Illinois travelers, but what happens when things go wrong and you get pulled over for speeding in Wisconsin as an Illinois Driver? What are the consequences you face? What are your options? Illinois and Wisconsin handle speeding tickets differently and Illinois drivers stand to suffer expensive penalties and consequences if they do not handle their Wisconsin ticket properly. The purpose of this blog post is to educate Illinois drivers how to save their Illinois licenses and mitigate insurance consequences. If a Illinois driver simply ignores a Wisconsin Speeding ticket and does not pay it it will become a judgment and will be reported to Illinois as a conviction for a moving violation. As three moving violation convictions in a year result in a suspension of driving privileges in Illinois this is the worst thing an Illinois driver could do. The next worst choice is paying the ticket by mail or in person. 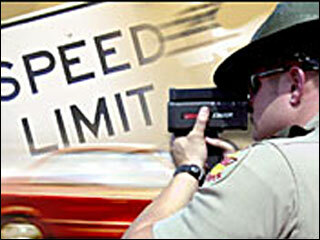 Again the speeding conviction will be reported to Illinois and have the same negative effect on the Illinois driver. Unlike Illinois, Wisconsin does not recognize the concept of “supervision” in which a first time offender does not receive a conviction. Every guilty or no contest disposition for a moving violation in Wisconsin is reported to Illinois as a conviction. Many states, including Illinois, belong to the Driver License Compact (DLC), and exchange driver information regarding tickets and accidents. When you receive a ticket in a member state, the citation is put into a database available to all other member states. When insurance companies pull your motor vehicle record they will receive violations in your home state as well as any DLC member states. When an insurance company pulls your license for a renewal or other risk assessment checks, the ticket you received in Wisconsin will appear, and could result in an increase in your premiums. There are many factors involved in this, including your previous driving history, how far over the speed limit you were traveling, and any other infractions recorded in the incident. The best choice is to hire an attorney who knows how to handle these Wisconsin tickets. Often with the assistance of an attorney’s representation, a charge can be amended so that it would not be reported to Illinois and thus have no ill effect on the Illinois Driver’s insurance premiums or driving record. The Richard Albanese Law office regularly handles tickets for Illinois drivers that are stopped in Wisconsin and can often handle these matters without the Illinois client having to travel to Wisconsin. Let Richard Albanese help protect your Illinois drivers license as well as your insurance premiums. Contact Richard today for a free consultation of your Wisconsin or Illinois traffic matter at (312) 882-1973 or on the web at http://www.criminalandtrafficdefenseattorney.com.